The story of Doctor Kim A. Adcock’s approach to solving a problem in the radiology department at Kaiser Permanente in Denver reads like script background for one of those “procedural” TV shows such as CSI. We know who died (far too many) and we know who did it (doctors, sort of) but we’re not sure how to handle the evidence to make sure nobody gets killed next time. Procedures that seemed reasonable to Kaiser in 1995 because they “had always been done that way,” turned out to be entirely unreasonable, with deadly consequences. And a solution that seemed impossible because of fear, turned out to be the best and most logical of solutions, and has saved countless lives. I read this story when it first appeared in 2002 and have cherished its insights ever since. Now 13 years later, I had to go find it to share it with this class. Since reading it, and other stories like it, I cannot look at statistics of any kind without wondering what they really mean. If the crime rate goes down, does that mean there is less crime? Maybe not. It might mean fewer people are reporting crimes. For example, in New Orleans after Katrina, distrust of the police ran so high most citizens in some neighborhoods preferred to suffer crime in silence than to involve the police. The very first thought that came to my mind listening to that story was, “I’ll bet the crime rate has gone down in those neighborhoods” and not because there’s less crime. The mayor though, and the chief of police, can trumpet those statistics as if they’re doing a better job in those same neighborhoods. But I digress. Your assignment for today, FRI, OCT 16, was to have read “Mammogram Team Learns From Its Errors” in preparation for today’s exercise in which you’ll contribute a comment to an ongoing discussion of the counterintuitivities (I’m going to keep using this word until the rest of the world adopts it) it contains. I don’t need an organized essay from any one of you, but I do need a contribution from everyone in the form of a comment to this post you’re reading now. I’m setting up the assignment this way to encourage you to read the entire comment string and reply to your classmates, not repeat what they’ve already said. You may make your own original observations, of course, when you see an opportunity to point out something new. Or you may reply directly to a classmate’s observation with rebuttal or clarification. And you may contribute as well or as often as you like for a better grade. The minimum for a passing grade is one substantial comment. Follow the link from the sidebar or this link here to the article. Read the article looking for evidence of counterintuitivity. At what points in the story do people think or act contrary to what their intuition told them? How do you explain their feelings or thoughts? At what point in human culture does common knowledge change so that we develop different intuitions? Read the comments to this post that precede yours. If you have something new to say, add your new insight to the conversation in a comment of your own. If your insight is not unique, respond instead to someone else’s comment with refutation or additional support. Never repeat. Never merely agree. DUE FRI OCT 16 during class. This entry was posted in Assignments, davidbdale, E09: Advertising Failure, Professor Post. Bookmark the permalink. The most blatant form of counterintuitivity in the article was the fact that the doctors allowed their statistics to show to the whole world. Doctors do not like to be wrong and admitting failure is like admitting they cannot do their job well or that there are other doctors out there who can do their job better than they can. Normally, people shy away from others learning of their failures; however, these doctors put theirs out there for the greater good. They figured if allowing others to see their success rates allows them to correctly diagnose mammograms, then letting go of their pride was worth it. These success rates were so important that one doctor who missed 10 cancers out of hundreds that he read was fired. Although he found this to be absurd and unfair, 10 cancers are 10 women who could die because this doctor misdiagnosed the mammograms. This did make most of the doctors wary about how well they were reading their own x-rays and eventually more were fired or resigned in light of their success rates. Eventually, this lead to a positive outcome of highly trained doctors and higher success in diagnosing breast cancer. I would have to disagree with you when it comes to people shying away from learning from their failures. Especially being doctors, I would think they would embrace their failures to become better doctors. On top of that, publishing the amount of missed diagnosis’s was looked at as a scandal in the eyes of the media rather than a more precise way of detecting tumors. With this being said, the doctors lost a lot of credibility through the eyes of the media. They are saying that the patients would shy away from the doctors after learning of their failures. I think you’ve misunderstood their point. The way I look at it, if I were to fail a test, I would not be bragging about it to the world. Yes, this may make me work harder; however, it would be exceedingly embarrassing for everyone to know of my failure. This is the equivalent to the doctors success rates being publicly announced. They will go back and try harder to make more correct diagnosis, but on the other hand, it goes against human nature to want others to know about your failures and criticize you for them. I certainly agree with wanting to work harder after a failure. In saying this I also agree that doctors would want to know when they’ve done wrong so they are able to better themselves for the future. While I am sure the doctors are embarrassed by their mistakes, it is part of being a professional to admit your mistakes and learn from them. The point I am making is not whether admitting to mistakes is professional or not, it is, however, whether admitting to those mistakes is counterintuitive. In everyday life, it goes against our intuition to be wrong and to say I’m sorry. These doctors had to find a way to swallow their pride, forget about reputations, and remember that putting out these statistics was only benefiting the people they took an oath to take care of. Saying that, I do agree with you when you say that the doctors need to learn from their mistakes. If we do not take what we have done wrong and turn it into a positive, then we can never grow as people. This is the only way the doctors can accurately help more patients in the future. I would have to agree. If I had to be in those shoes a part of me wouldn’t like to have my failures public because people tend to look at the failure rates instead of the X-rays you actually found cancer in. Negative affirmation might be too damaging for doctors. The Mother’s Day assertion exudes counterintuitivity. On this day, numerous clinics give free mammography tests. One may think that since clinics are encouraging women to come in on this day by making the testing free, it is a reasonable time to visit. However, many women decide to utilize the free testing and crowd the clinics. This leads to the radiologists being overwhelmed by the sheer number of patients. They may rush the reading to be able to get more done on this particularly busy day. Rather than visit a clinic on this economical holiday, experts suggest avoiding it altogether. I agree. I feel like if women are only doing it because it’s financially convenient, and wouldn’t do it any other day of the year, then it would be a waste of time. These things can’t be rushed, health is extremely important. I would encourage most people to schedule a regular appointment at any other time, instead of flocking to free clinics on one day out of the year. I like this idea of them feeling rushed and it is very counterintuitive that they might brush past a few mammograms from being overwhelmed by so many patients. In human nature when you are being rushed, you cannot work well and you get nervous and just try to hurry up and get everything done. I know this feeling from experience so it is possible that this a huge part unto why the radiologist are not reading the mammograms correctly. You think being doctors they would be trained on how to handle so many patients under pressure, but maybe they don’t know how too. It is just very counterintuitive that you are a doctor and you are messing up on your patients that trust you so much, after you spent years studying in your field of choice. For the sake of playing devil’s advocate, we should take into consideration the other side of this argument. I don’t disagree that the workload would be tremendous, and most certainly would cause for more misreadings, but take into account the patients’ circumstances. A mammogram can cost anywhere from $80 to $100, and while it’s not the most expensive thing in the world, $100 is still a decent amount of money to spend. Health care is never cheap, so shouldn’t women take advantage of such an opportunity, especially when in situations where money is tight? Perhaps there should be a compromise. Instead of having one day a year where this procedure is free, there could be several days a year where this discounted service is offered. If money and reimbursement is the issue, the price could be renegotiated altogether and instead of being free, would come to a discounted rate of, say, $25-$50 as well as being spread out over the course of several days. That would not only take care of the spike in workload, but also give patients the opportunity to save money. Some doctors say a good day for women to get mammograms is Mother’s Day because many clinics offer free or discounted exams. However, this is fairly counterintuitive because the article states “Don’t have your mammograms done on Mother’s Day, when many clinics offer free or discounted exams.” They first tell you take advantage of the free/discounted exams but put you in the predicament of having your results rushed by the doctors because they do so many mammograms on that specific day. This is like telling people to just go into a restaurant on Mother’s Day without a reservation. Your chances of being seated immediately is not likely. If the doctors are swamped by all the programs they will easily rush the results and in the blink of an eye miss your tumor (if you happen to have one). While trying to get more women to take advantage of the discounted/free exams, doctors are putting most women in a bad predicament. A cancer that some could possibly have can be easily missed. Telling them to take advantage of the Mother’s Day special isn’t always best. I agree. Even a “Mother’s Day Monthly Special” because of the holiday would be a lot more helpful instead of trying to get as many patients in on one day. A monthly special would decrease the amount of patients who try to get mammograms done on Mother’s Day because some can’t afford to miss a free or discounted exam. It would save the doctors from being shamed because the amount of tumors that can be missed if the programs are rushed and save patients from spending more money on every other day except Mother’s Day and give them back proper results. I agree that a mammogram shouldn’t be rushed, however if it’s the only time a women might go and get it done because it’s discounted or free I think it’s a good idea. I also don’t think that just because there are so many being done on that specific day they would be rushed. The clinic may have more doctors working that day, or they might not all be read that day. Also, just because the clinics offer free or discounted exams doesn’t necessarily mean the clinic is any busier than usual so maybe they could all be read that day and not be rushed either. In the fourteenth paragraph it says, “In the end, though, the most delicate obstacle may be the doctors themselves. Doctors have been pushed a good distance from their traditional pedestals. But few have done so especially happily, and rare is the physician eager for the psychic roughing up that comes when the Denver doctors are forced to confront their mistakes.” I found this paragraph as counterintuitive because it is explained that the doctors are essentially their own worst enemy. I find this interesting because we put so much faith in our doctors and think they know everything, but they often make mistakes. The crazy part is that the doctors also put a lot of faith in themselves, and they must realize that they, too, make mistakes like every human. Confronting their mistakes is counterintuitive for them because they know many people rely heavily on their accuracy on conclusions. When they they are forced to confront their mistakes made in their conclusions they are going against their natural ways of working. They don’t want to confront their mistakes because they’re not supposed to make any. Doctors are held up on these “traditional pedestals” meaning they are held to a higher standard. They know they are held to this, which allows them to think of themselves as belonging to a higher standard. They wouldn’t want to step down from this higher place; therefore, they are going against their intuition when they are forced to face their inaccuracies. Interesting point in the article to talk about, I completely agree. Doctors are just as human as those who are not doctors, but the standards they are held to make their mistakes seem that much worse, creating that counterintuitive base of the article. This didn’t immediately jump out as counterintuitive, but I really see where you’re coming from on it — part of human nature, I think, is that we don’t want to confront our mistakes, and especially so when you’re put up on a pedestal and told that your mistakes can literally kill people, I can understand the hesitancy there. I definitely agree with this belief that doctors are held to higher standards and they feel that they must always meet those standards 100%. Surgeons and radiologists train and study for so long to be good at their jobs and never fail. But when the one odd time they do not succeed appears, they become shaken. Being put up on the pedestal as you say, they do not know what to do or say to defend themselves, and ultimately deny the mistakes being their fault. In today’s society, we forget that these doctors are just people like us and the pressure that is put on them does not allow them to make the best decisions when something does go wrong. One of the smaller counterintuitive topics I came across (that seems really crazy to me) is that there are “acceptable bounds” for error rates in diagnoses of mammograms. No one is perfect, and not every mammogram will be read correctly, but it seems like this a very non-chalant way of categorizing how many errors a doctor can make. As controversial as it may seem to post doctors’ success rates for everyone to see, I think it is a good thing if it inspires or scares them into being more careful with the patients’ diagnoses. After all, these are human lives we’re talking about, not just scores on a page. I agree that this is a sort of heartless way to categorize failures. It’s difficult though because these doctors are only human beings. They don’t have any superpowers, unfortunately. So they can be excused when they make a mistake. It’s like making a mistake with any other job, except for this one, human lives are at stake. It’s not fair, but I believe it is understandable. My mind was boggled to say the least when I learned how many women are told they don’t have cancer when they actually do. I cannot help but put myself in their shoes. What if it were me who that doctor misdiagnosed? And what about you? What if it were you who had to go under the knife for life saving surgery all because a doctor didn’t read your mammogram right and didn’t catch it in the early stages? When we read this article, we say that firing a doctor because of a few missed tumors is certainly unfair. However, if that person he misdiagnosed were you or a family member, then that missed tumor would be the most devastating thing in the world. So do we hold doctors accountable for even one missed tumor? I would have to say yes. It is their job after all to keep us all safe and healthy. Palal24, exactly. Each misdiagnosis has mind-shattering consequences for the individual and her family. I know the doctors might think that “oh it’s less wrong diagnoses than last year” or “I’m doing better than so and so,” they’re only thinking this way because they’re not personally impacted by the wrong diagnosis. I’m speaking from personal experience too, so I would also have to say that no matter if it’s one error or one hundred, they need to be held accountable for all of them. I don’t think there should be “acceptable bounds” for errors. “Over the next few years, several more radiologists were fired or resigned in the face of concerns about their interpretive skill. Then Dr. Adcock spotted an even trickier problem. Nearly half the original 20 radiologists were reading far fewer mammograms than the others. They met the federal minimum of 480 a year, but with the others reading as many as 14,000, Dr. Adcock agreed with experts who say the government minimum is far too low. This particular piece of the article is very counterintuitive because of the statements that are made in the paragraph. First off the first sentence is talking about radiologists being fired then reassigned, then fired again, then reassigned and fired again because others were worried about there skill on interoperating mammograms. This is very counterintuitive to me because if these doctors do not know what they are seeing and keep getting fired and reassigned, why are they even aloud to be in practice? I feel as though if so many doctors cannot read these mammograms a solution, for example maybe going back to school or going in a different field should be the route taken. Then moving on, Dr. Adcock had discovered that nearly half of his original crew had started reading fewer and fewer mammograms than others, even the government is saying the reading minimum is far too low. So you would think that a solution to these problems would be happening, but no they just keep firing doctors, and reassigning them, or you are lowering them to a position where you feel more comfortable with them in. It is just very counterintuitive to me that these radiologists go to school to learn this stuff and these colleges and universities are giving them a degree, and yet they simply do not know how to read mammograms. You would think there would be someone trying to solve the issue at hand but no there is not and that is what concerns me. Also makes my counterintuitive thoughts go crazy! I disagree with your statement that some doctors do no know how to read mammograms. I think that they know what to look for, but the nature of the job is very difficult. Some doctors are naturally better than others, and those who prove to be falling behind should be fired. The colleges and universities are not necessarily at fault. It comes down to who uses what they’ve learned in college to the best of their ability, and those who do not, while surely being able to read mammograms, may fail due to a multitude of reasons. For instance, they might be assigned to read less tests than other doctors, preventing them from honing their skills. I agree with abcdefg577 in saying that doctors know how to read mammograms. I just think at points it could be pure laziness or rushed efforts. The Mother’s Day special is a prime example, mothers flock because of free testing but their results are rushed and diagnosis could be incorrect. I’m sure the work of reading mammograms is tedious and requires much focus but doctors making a mistake doesn’t necessarily mean they don’t know how to do their job. This piece is very counterintuitive to me because why are his colleagues allowing this to happen? After all, they saw how he handled situations with previous doctors he had fired because of how many cancerous tumors they missed. If his volumes are dropping, there’s a big chance he is reading mammograms wrong. If Dr.Adock wouldn’t have retired himself from his practice, I wonder how long his colleagues would have waited to step up. Not only was he risking his own reputation (after being a doctor who fired many others because their lack of improvement) but he was risking the lives of many women because he could no longer read mammograms properly. I think the greater counterintuitivity is that Dr. Adcock let that happen. After all this controversy about him firing his doctors who didn’t read enough mammograms, he’s then going to let himself get to a point where he’s only reading 1,400 per year? At a time at which some of his doctors are reading 14,000? Researching to figure out what doctors are missing tumors and how often is a good idea in theory. However, it diminishes the point when it’s published work and women can choose to not get tested because of missed cancer diagnoses. Doctors should have their work followed up on to make sure they aren’t missing a lot of tumors because of their own error, but the research should also be done to make sure that it’s their fault. Since some tumors are just nearly impossible to see on the scans, and it’s not human error for not finding them the research should be done to see if that’s the case before a doctor is fired. This research shouldn’t be published, if a doctor isn’t doing their job to high enough standards than the doctor should be fired. That should be up to the discrepancy of their boss. It shouldn’t be published incase the rates discourage women from coming to get checked out, or if it encourages malpractice suits when they maybe aren’t necessary. I agree. Doctors are human beings who make mistakes just like the rest of us. That is why it is extremely important for other doctors to follow up their work just to make sure nothing was overlooked. It would save a lot of doctors from the embarrassment of having their “failures” published and would save a lot of women from being afraid of going to get mammograms done. I would agree with this point. Publicizing failure rates may in fact deter woman from getting mammograms all together and where would that lead us? Failure rates should be kept within the office and if problems occur too frequently with one doctor or more, then they should be held accountable for it, not publicly humiliated risking the health of woman nation wide. Doctors are usually good at their job, however, these doctors were not held accountable for the cancers they missed. This paved way for more errors in the radiology department. When we come across the term “doctors” we think of a qualified practitioner; however, some specialists that read breast x-rays are not qualified at all. They have limited training and practice compared to other doctors. This is counterintuitive to me. Why hire a doctor that has limited training than another doctor that has more experience. There should be a system in the medical field where we can test how good a doctor may be. Give a doctor series of tests that tests their skill. In society, we want the best doctors to diagnose us, however, all that we are getting is generalist. These doctors miss cancers more than a specialist and it’s affecting the patients. This bothers me because we, as patients, trust these doctors to give the right diagnosis, but sometimes we get false information because of an error. We trust these doctors to give us the right treatment, but knowing that there is 20,000 doctors out there that are not specialist is pretty scary. It doesn’t seem fair that eight doctors were fired because they simply didn’t read enough data to stay sharp. They are doctors that have spent years training and studying to be in this field and since they did not read enough they were simply let go. I can understand where they are coming from. They don’t want people on their team that do not read enough films so when the time comes to read films to determine if there is cancer they may perform well due to the fact their skills are dull. Instead of just letting them go without a job they earned it might have been better to confront them and explain to them that they are not reading enough films. Give them the chance to prove themselves that they are fully capable to do this job they spent their entire life doing. Just letting them go because the doctor just wants to be safe, but in reality might actually hurt himself since they have the potential to be amazing doctors. The federal minimum is 480 X-rays a year and others are reading 14,000. It is possible that those that are reading little numbers of X-rays are examining them so thoroughly that they do not have time to read others while those that read over 14,000 could just be spending so little time with them and skimming and not get in trouble because they are reading well over the requirement. I agree that the doctor should be notified that they aren’t reading enough films before they are fired. They have the potential to read more but do not know that they should be, especially if they’re reaching the minimum number that they are required to but not reading how many their boss would like them to in comparison to their colleagues. I disagree with you on “not being fair”. Doctors are expected to reach an expectation set by their boss, however, if they do not meet this expectation they have every right to be fired. In society, doctors have no room for mistakes because the patients future is on the line. If these doctors miss the cancers, the patients life can change drastically from it. Doctors reading data will give them more practice and improve their skills. If these doctors were given more time to practice reading these x-rays, it would be too late. They might miss some more cancers when another patient comes in for a checkup. You had a really good argument and I understood where you’re coming from. While being fired for reading too little is a big drastic. Unfortunately the results of whether or not they found cancer in the films is unknown, but what if they never missed a single tumor? carcinogenic or not. If they are outstanding doctors but are rather lacking in the X-rays read they should be given at least a warning of “you need to examine more X-rays in said months or your position here will be terminated” Doctors shouldn’t have to go through all this training and lose their job over something that could have been simply done. Over a period of time, Doctors have found an important discovery of why they miss some tumors, which is certainly counterintuitive. ” They say, they have made an important discovery about why they miss some tumors. 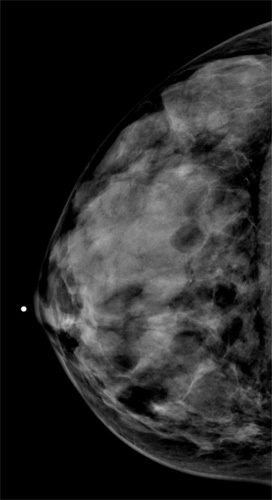 Breast cancer has many different shapes on an X-ray: a line of little white dots, perhaps, or a star-shaped blob known as architectural distortion. By testing and keeping score, the Denver doctors found that they sometimes obsessed over one type and neglected the others.” Although Doctors have found different ways to find Breast Cancer in certain patients, it resulted doctors to focus on only one, which leads them to neglect others. Any kind of finding for a cancer or tumor is important, so only obsessing or finding a certain one rather than openly looking for a variety can have a negative impact on both the doctor and especially the patient. What I don’t understand, is how doctors can say they neglect others. In this particular procedure of finding cancers, I believe its important and critical to have a focus on different types than just ONE. Not every patient is going to have the same type of cancer, they’re not all going to have a line of white dots or a star shaped blob. Doctors need to re-evaluate their focus and search for cancer. I agree that this is very counterintuitive. If doctors are trained to recognize the various shapes of breast cancer why do they only search for one? Not every patient will have the same type of cancer so it is important that they start looking for the various shapes. They are easily overlooking cancers by not sticking to the training and then they don’t understand why some lose their job. They are not working hard enough to keep it. I agree that this does seem to contradict the main goal we are trying to achieve of curing all cancers. If a was told by a colleague that an ingredient should be added to the meal because it makes it taste better rather than without it, then he would most certainly add the ingredient. If we look at curing cancer as a meal and our policies and procedures as the ingredients, we are missing an ingredient if we aren’t looking into every possibility. This advanced culture has seen many different types of cancers and diseases. If we don’t use every possible solution to try and fix the problem, we are just wasting time. Because unsefish people are dying in the hands of selfish ones. That seems counterintuitive to me. If they were notified that they were not reading enough films, I feel some would read more just so that they were not fired therefore lowering accuracy of their reads. I can imagine that some doctors would much rather prefer to keep their job by doing some sloppy work rather than to accept just being fired. If each doctors stats was posted at all times and updated as much as possible, that would seem like a better solution because they themselves would know how good or they they are doing on the job. “Over the next two years, he fired two others who were missing more than their fair share of tumors.” Cited in the first paragraph, Dr. Adcock had been apparently having some problems with his staff already. Apparently the staff was missing traces of tumor found in women using the mammogram. So he decided to keep track of all of his doctor’s records. He eventually discovered that one of his doctors missed a span of ten cancer patients in result in of eight-teen months. After this, Dr. Adcock then found out that more doctors were found missing tumors in mammograms. He got rid of a lot of people who he felt like they weren’t doing their job to the best of their ability. It was confirmed that most doctors within his intuition that they were not reading enough films to look out for cancer in mammograms. His first thought and action when he read these statics were to fire all of the doctors who have failed to identify cancer in mammograms. Since Dr. Adcock was under the influence of health care, he felt like he had no choice to fire them. He could of also been upset with his staff for not correctly doing their job and as a result they will get sued often if their statics are inaccurate. His thoughts were probably similar to the healthcare system giving the fact that he had to let go of some many people. His actions show that he either showed sorrow for his patients or if he was trying to save the hospital from being sued. Human culture recognizes change when there needs to be change such as if people aren’t doing their jobs correctly. There will always be someone up next that will be willing to put more effort into doing tasks if the current employers aren’t doing it correctly. Dr. Adcock, despite making groundbreaking decisions, has had some moments where he has questioned himself. Page 5 of the article includes Adcock’s decision on getting the government involved in doctor’s performances when it comes to the reading of mammograms. When the issue arises, although he states ”I could see that being counterproductive,”, the article goes on to invite the thought of what doctors will do if left to themselves in the modern world of radiology. Not every doctor will have the mindset of Dr. Adcock. Another doctor from the University of Chicago speaks freely in saying ”There are lots of arguments you can make in deciding to do nothing,”. It is easy enough to imagine the war going on in Adcock’s head, two voices arguing back and forth on what to do next. Deciding to keep the government out of mammography and the accuracy of work being done for now was difficult for Adcock, as a part of him may have wanted some outside intervention. When Dr. Adcock started his revolution in mammography, it began to change the ways of radiology. Word of doctors being fired and placed in different jobs got around. Some of the busiest radiology centers in North Carolina, averaging only 65% of breast cancer being found, were somewhat of an inspiration to other centers. Dr. Adcock’s stand mixed with the realization that these mammograms would essentially mean life or death prompted many doctors and radiologists to get themselves together. Common knowledge was gained and insight was provided. An office in Denver not only brought their average up by 10%, they began finding cancer at earlier stages allowing for earlier treatment, all without an increase in the number of women sent for biopsies. One counterintuitive topic that struck me was that the government had fallen short in ensuring high quality mammography for all. This task of scanning for any cancer in mammography requires good accuracy and is highly difficulty. However some of the doctors reading these x-ray are generalist who had limited training and skills. How are they going to hold doctors accountable for mistakes in spotting any cancers when they are the ones hiring doctors with limited training in radiology. Another counterintuitive topic that I came across was how the radiology chief had presented doctors scores so publicly. As doctors they need people to trust them with their health and not openly be accused that people stop going to mammography. While I agree with you that it certainly seems illogical to hold these doctors accountable for their mistakes whilst they were knowingly hired without much experience, there is a degree of responsibility one should take in their profession. If their profession revolves around making people healthy (and in a matter of thinking, saving their life) I believe they should most definitely be held to a higher standard than other professions. Aspiring doctors often only have a paycheck in mind. If they do not want to put in the effort to becoming the best they can at reading x-rays, they should not be reading them. In that case, they should do something else that does not involve other humans well-being and mortality. I understand your point on the responsibility of these doctors, but one can only do as much as they have learned. Maybe seeing it through another perspective will help you see where I am coming from; It’s unethical to half train a dog then get rid of it if it urinates on your expensive vintage rug. If the government fails in providing the best quality mammography, they should not expect it. The problem starts from the root. In my opinion i believe women should not avoid mammograms at all.they should get a mammogram as soon they are able to.mammograms are something women should have to get.it should be a law that at a certain age women are required to get one.women should want to know if their is any cancer or tumors.even if they are scared it is better to know before it is to late.a women knows she has time to stop it before it is to late after getting mammogram.if women believe their doctors has missed something they should never think twice about going back finding a new doctor.it can be a good move because what one doctor haven’t found another will.as a women it may be scary to find out if you have cancer or a tumor but it is also very important. As far as I am concerned, the most striking example of counterintuitivity is in the very beginning of the article. In the third paragraph, we are told that “if women knew how many cancers their doctors had missed, they might avoid mammograms altogether.” Although I myself am not a woman, and therefore may not be as qualified as others to comment on this, I find this absolutely preposterous. As I said, I’m not a woman–that said, I’m also not a doctor. Of course, it is possible to perform a breast examination on one’s own body, but it seems likely that a doctor, who is at least somewhat trained in recognizing breast cancer in either physical examinations or mammograms, would have a much greater chance of detecting any cancer that may be present. When considering that mammograms are designed to make the process of detecting breast cancer easier, I personally would take advantage of this technology if I were a woman. Though it is true that doctors do miss the presence of tumors sometimes, it is important to remember that no human–or indeed, any machine–is objectively perfect. Avoiding a mammogram, however, all but eliminates any chance of cancer being detected. Furthermore, if a woman were to perform a physical examination on her own body and happened to find anything that she believed to be a tumor, it is likely that she would undergo a mammogram anyway, in order to be certain that there was some reason for concern. I would think that the greater chance of detecting cancer outweighs the possibility of a cancer being missed, yet women counterintuitively tend to avoid mammograms as a result of being aware that tumors sometimes go undetected, thereby increasing the likelihood that an existing tumor will go unnoticed. It seems counterintuitive that mammography, a specialty that we are told is “the hardest job in radiology,” is performed primarily by “generalists with limited training and practice in mammography.” If the field is truly so hard to do correctly, why wasn’t it always the case that the only doctors working on mammography were specialists? It says that when Dr. Adcock discovered that one specific doctor had missed 10 cancers in the span of 18 months that he would fire them. This, to me, is not an effective way of going about keeping the consistency and success rate at a high level. If this doctor that Dr. Adcock let go discovered 11 cancers but missed 10, isn’t he losing someone who is somewhat productive? What if he fires the doctor who is handed the most cancer examinations? But then he keeps someone who hasn’t even seen 10 exams within 18 months. Basing someones success off of the base number of failures isn’t the most effective to keep the best doctors around. If you want to keep the best doctors around you need to look at the bigger picture. I know that if I went to the doctor to be screened for a cancer obviously I am very nervous and stressed about finding the results, but if a doctor with less than 10 failures walks in, says “You have cancer” and walks out as opposed to someone who may have a lower success rate but sits down and explains the process and goes through the entire situation, I would choose that doctor every day of the week. There is more to life than success and failure rates. There is a way bigger picture. And if we are looking at the big picture through binoculars, we’re missing everything surrounding it. In this article, Dr. Adcock is using his binoculars to evaluate his doctors. “On Jan. 1, Dr. Adcock decided to stop reading mammograms. He did not want to burden the team with his workload, since the original group of 20 was down to 6. But he says he had a bigger obligation in bailing out of a task he had come to love: ‘I’m protecting the patients against myself. '” It is true, yes, that Dr. Adcock had started to fall in terms of mammograms read, as well as placed more cases than ever before in the ambiguous pile. However, when he states that he is “protecting the patients from himself”, how intuitive is this exactly? His purpose was to bolster a program in order for maximum efficiency in reading mammograms accurately to be achieved. Now, why is it himself that he considers a detriment? He only means good, so surely he could not be purposely making errors in his judgements. Also, how is it known if he is making mistakes at all? He is still reading slides at a higher rate than the government quota, and nothing is indicating that he is wrong in his conclusions. After all, isn’t it better to have someone read some slides than for no one to read them at all? The one thing that stood out to me the most (that other people have not already mentioned) was that, “Dr. Geoffrey D. Friefeld burns through films at a torrid two-minute pace.” That seems counterintuitive to me. This man has the future of tens of thousands of womens’ lives in his hands and he decides that two minutes is suffient for each of those women. Comparing him, who reads many mammograms a year, to other doctors that read the minimum, is Friefeld that much better simply because he produces more results than others? To me, it seems that speed would be inversely proportional with accuracy. You make a good point, as it would seem obvious that a two-minute pace for reading mammograms would inevitably lead to error and misjudgments. However, can we conclude that this is necessarily true? Does speed always correlate with inaccuracy? Perhaps this doctor is able to very accurately deduce what cancer in tissue looks like and is using this ability to his advantage by reading many slides a year, effectively saving many more lives than if he were to read them at a slower pace. As is accepted, all doctors are at different levels than others, and perhaps Dr. Friefeld is, simply put, better than the rest. I would agree that it seems counterintuitive to speed through mammograms when so much is on the line. Although, in any practice there is someone who is considered the best. Friedfeld may not be the best but one the better ones. He has taken his practice to another level where not only his accuracy is very high, but he has become so good that he can do it in a matter of minutes. This may seem uneasy and it would make sense if his accuracy went down. But because it didn’t he can continue to keep getting faster until it does. This way he can do more mammograms in a day and be paid more, deservedly for being one of the best. I agree with what you have depicted as your counterintuitive theme in the article. Most women should get the “quality over quantity” rather the vice-versa. Dr.Geoffrey D Friefeld should be in the group of the former doctors that was linked with Dr.Adcock. The two-minute pace for reading the potential life-threatening situations of thousands of women is neither accurate or should even be flirting with this method. I agree, it is outrageous that Dr. Geoffrey goes through films at a two minute pace. If i was a women i would definitely not be going to him. So many women are putting their life in this doctor hands, at least take the time to look through films at a sufficient pace. I find this quite counterintuitive. The fact that 4 of the busiest centers are averaging a 65% success rate is rather mind boggling. Not only the fact that 1 out of every 3 women that walk out of there may have a false reading, but that because it’s one of the busiest, there are a lot more women at risk. In the article it states that woman are told that the overall success rate for mammograms is 90%. This is a whole 25% higher than the percent of what the busy clinics in NC are producing. I wonder why these 4 clinics are among the busiest. Do the women not care to look at the statistics? Are the stats hidden so they can’t find them accurately? If they say women won’t go to get a mammogram if the success rate is low, then why are so many women still going to this clinic? There may be many women at risk because of this counterintuitive claim. It bothers me that a man who trained for many years to become a radiologist, feels the need to fight his mandatory resignation by stating that he only missed three cancers. I do not believe Dr. Walsh went through the tough journey that is medical school of to ultimately miss out on over three cancers in a single screening. The term “acceptable bounds” really irks me because within those bounds lies only one thing for certain, death. One missed cancer can ruin someone’s life and the fact that there are bounds for error rates makes me feel that there should absolutely be some improvements done to the screening process. I agree that improvements need to be done to this field. I also feel similar about what is acceptable when reading films, it is dangerous to have an acceptable number because missed cancers on the films can kill a person. The article claims “At Kaiser in Denver, the statistics anchor a regimen of continuous education that far outstrips the few hours a year the government requires.” This seems incredibly counterintuitive because the one clinic that is a positive outlier in mammogram readings, is the one that goes above and beyond what the government expects. What seems even more counterintuitive, is that the government still rejects ethical practices even though they are clearly offered scenarios where they were increasing success rates. If the government, or whomever is in charge of this, was sincerely and primarily concerned with the well being of the women and men who receive mammograms, wouldn’t they push the theories that have achieved this success? The counterintuitive theme that you may argue with/against, that doctors are just like us: smart, well-driven humans that long to succeed, make even the minuscule of a mistake that could turn out being an open-to-public topic that may erupt in firing others or left with a bad reputation. Everybody does it, there cannot be a formula to calculate the statistics of how many mistakes one will make, then narrowing it down to the demographics of doctors. The puzzle keeps going on and on, but we will never know what’s at the end of the tunnel. All that one may do to heal the wounded situation, Dr. Adcock believed what he had formulated was right. The awareness for thoroughly examining a mammogram properly as a doctor may fluctuate the statistics towards a more reasonably lower percentage of mistakes. It seems counterintuitive that in the article Dr. Adcock, who has decided to stop reading mammograms stated ”I’m protecting the patients against myself”. The statistics being publicly made also puts pressure on the doctor. The mammogram readings itself are hard to work with considering that not every person develops the same type of cancer. In my opinion I believe that he made the right choice. How is Dr. Adcock able to accurately read a mammogram if each mammogram is different? If a person doubts themselves that much it would be safer for the patients for him to stop reading the films all together. If the he continuously is unsure about his readings, the doctor might mistakenly make the wrong calls when stating whether the woman has cancer or not. This is an incredibly concerning concept to be brought to light. The article points out on several occasions that doctors are viewed as quintessentially perfect, specifically that they “walk on water”, but with numbers so drastically different as these, it’s hard to keep that charade going. With the general public having such a strong paradigm of these otherwise normal people, this statistic is terrifying. There is a significant difference between a 90% discover rate and a 70% discovery rate. Women have been mislead into believing a statistic that only shows the top percentile of these searches, not the average success rate, and as a result, have accepted the 90% as the true probability, setting these doctors up for imminent failure when these searches don’t match the numbers. I’m confused as to why the average statistic was not used at the forefront, my only guess being that it would turn women away from getting the procedure done. Mammograms are direly important, so why does it take lies to convince women to check for something so detrimental? I believe it is a great idea to post doctors’ success rates for everyone to see. Not only will this make doctors work extra hard and carefully to have a good success rate, but also people can actually go to a doctor who has a good success rate and unlikely to make a mistake. I find it amazing how many cancers are missed on women. In the article “Mammogram Team Learns From Its Errors,” the claim that women are better off avoiding mammograms is outrageous. I cannot accept that so many missed misdiagnoses can occur. Every misdiagnosis has a staggering effect for the individual and her family. Doctors had been using mammograms for years without keeping track of the percentages of the success. Society as a whole did not know what the rates of success in mammograms were supposed. People thought that 90% was an achievable goal for finding tumors in this practice. Dr. Kim Adcock began keeping files of success rates and found that many of his doctors were incapable of having the job. Now it is known that 70% is the realistic bar that has been set by doctors around the world. Although knowing the rates does give the technicians a sense of guilt by knowing the exact number of tumors they had missed, this is needed to weed out those who could not perform up to a high standard that is now set in the field. 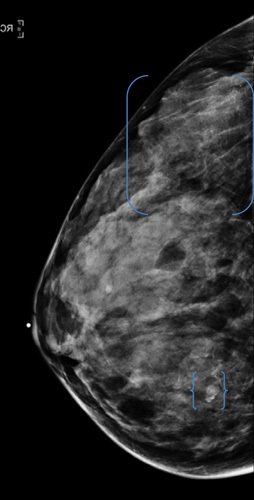 Finding any defects in a mammogram x-ray requires a rare and certain talent for it. Being able to find defects is not a talent that can be found anywhere. There are only so many that can perform up todays standards. I guess your point is that the discrepancy between the actual success rate (below 70%) and what the general public believed to be a good success rate (90%) is what’s counterintuitive. I almost agree. But consider this more obvious illustration. Suppose I told you that doctors who had been working in the field of mammography for decades had an average success rate of 70%, while newcomers to the field were achieving 90% success using the same techniques. (It’s not true, but ) THAT would be counterintuitive. What may be more clearly counterintuitive about the example you cite is that in a field of medicine where accuracy of readings is EVERYTHING, nobody was bothering to check to see how accurate their departments were. That’s counterintuitive. The rest of your commentary about the necessity of “shaming” the worst performers in order to alert them of the need to improve is a useful explanation, but seems to be an entirely separate observation, and not in itself counterintuitive at all. It might be an unusual approach in this particular branch of medicine, but it seems completely reasonable once it’s proposed. The fact that it was not used until Adcock started the process DOES seem counterintuitive. Why were the worst readers never confronted before with their poor performance?